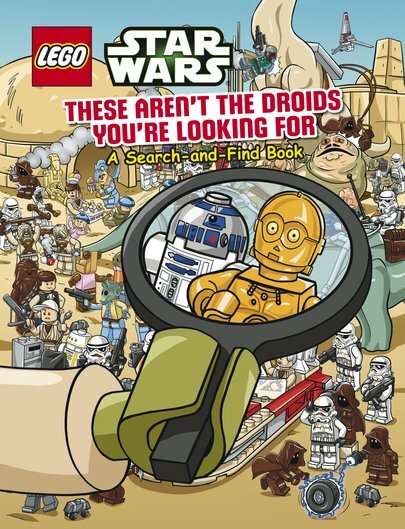 Test your eyes in the LEGOStar Wars galaxy. Legendary spotting on a distant planet. It’s a search-and-find book – but don’t worry. You’re not lost. You’re in the best picture puzzle in the whole galaxy. But someone else is lost. Your Jedi heroes. Well, to be exact, they’re hiding. No – not from Vader. (That wouldn’t be at all heroic.) But from YOU. Which means hours of fun! Where is Luke lurking? Can you find Princess Leia in the sand dunes? And isn’t that Darth Vader flying off in a TIE fighter? Hunt them down in LEGO’s super-cool art.